As it was previously reported, the former Miss USA sparked rumors of an impending baby after reports surfaced in November claiming that she was undergoing IVF treatments while in Barbados. Back in December, she said to Us Weekly that she “wasn’t opposed” to treatment but didn’t reveal much regarding her and her husband’s plan to start a family. As you may know, Moore surprised her fans and fellow RHOA co-stars when she revealed she secretly got married in June on the island of St. Lucia. The 47-year-old previously stated, “he focuses on me, my business.” The actress added, “he has an MBA, he helps with Kenya Moore Haircare. Advice,” and “tactical” things. Moore admitted one of the best parts of being in love with someone such as Daly is that he is her partner in all facets of life. Furthermore, Moore spoke on Kim Zolciak-Biermann’s return to the popular series. Kenya claimed Kim could maybe see the “error” of her ways. 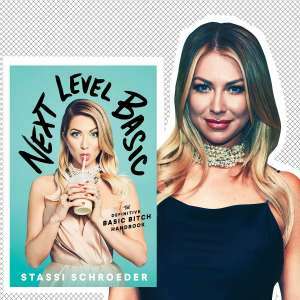 Whether they become friends again or not, the reality star explained she is mostly focusing on being herself and staying positive in the face of adversity. Jamie Foxx Talks About His Female Role Models And What He's Learned From Them!